I was browsing through my phone photos, thinking if I’ll ever find the drive to write about my trips this year, when I came across these photos taken in Phuket some time last year. I’ve almost forgotten about this, and not because the trip itself was not memorable (trust me it sure was, and absolutely delightful too), but possibly essentially because this was sort of that time when I was trying to put myself in a make-believe standstill. Anyhow, my bringbackmysunshine partner and I have been talking about this right after our trip to Melbourne. She wanted to spend her birthday overseas, and so we thought why not do it in Phuket. We stayed at the Patong area simply because we wanted to be close to….. the party scenes 😁 Hey, we were celebrating a birthday! Patong is actually a convenient spot, not just because of all the bars and clubs, but also for all the nearby restaurants, shopping streets and beach. There’s also tons of car services, so it’s easy to move from one spot to another. One of the things my friend and I have in common is that we are not fond of full-packed, scheduled tours. We always want to spend our holidays, the way a proper vacation should be spent like – relaxed, stress-free, and devour time at our own leisure. So on our first night, well, ok. I won’t talk about that anymore because it was just ultimately pure bar hopping and drinking. Fortunately, the following morning, we miraculously managed to wake up before noon, and so we got to spend the whole day at the beach. 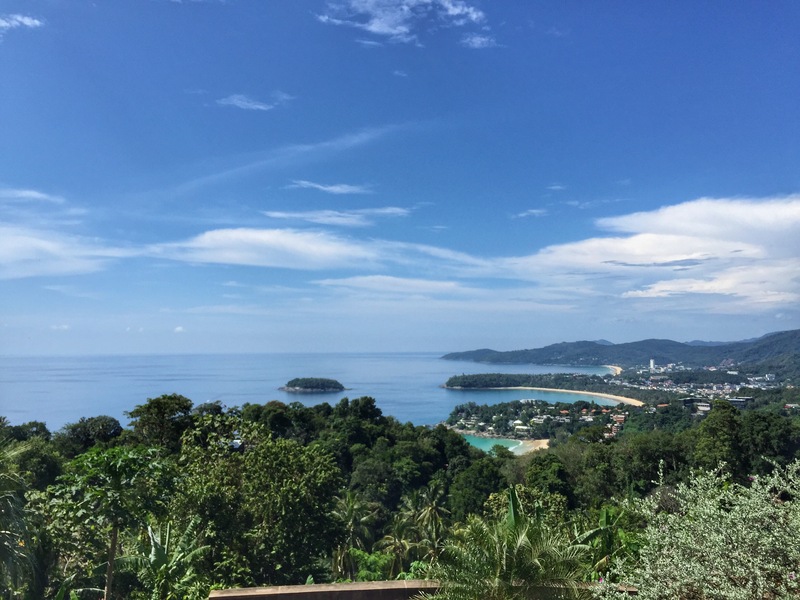 We paid a few hundred Baht to go around, but was certainly worth it, considering the distance between Patong and Kata beach, then to Karon beach. 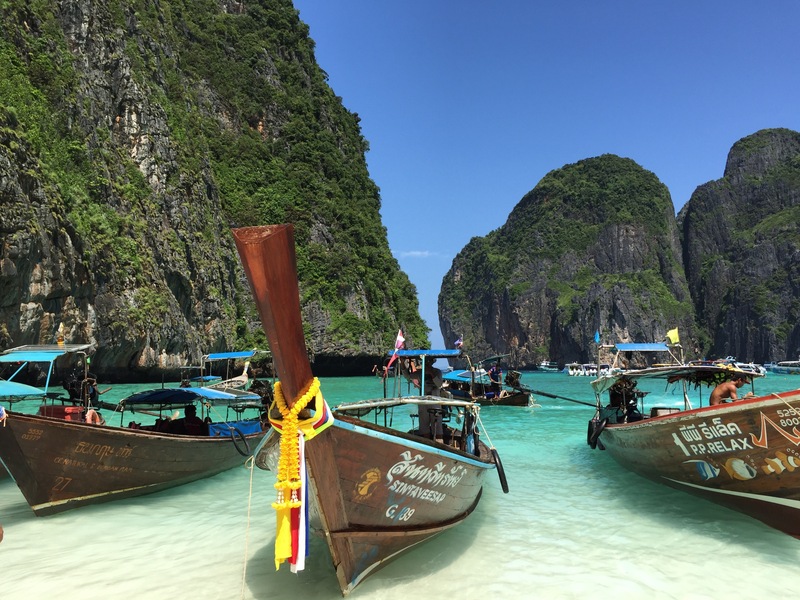 Of course the Phuket experience is not complete without visiting the famous Maya Bay, or Phi Phi Island, where the movie “The Beach” was shot. It was undoubtedly astonishing, just like in the movie, but I gotta warn you that it’s a little.. ok not really. When we got there, it was really, as in really, extremely crowded, and I’m not even exaggerating. The photos you will see below were cautiously and “skillfully” taken to show the beauty of the island while trying to avoid all the people trying to make their ways to capture their Instagram-y shots. I would still recommend to include this on the Phuket bucket list though, but you just need to carry a little more than your average level of patience. This one, Khai Island, was less crowded than Phi Phi Island, somewhat average looking, comparatively, but unquestionably still a gem in its own way. We came up with a silly metaphor to describe the two islands and compare them with men. Yep, I think that’s kinda easy to figure out. 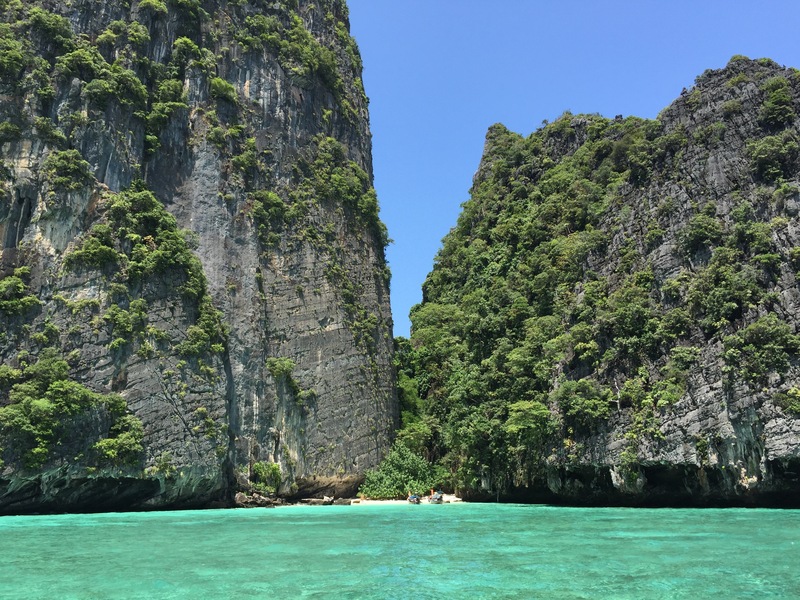 Some of the other small islands we passed by on our way to Khai Island from Phi Phi Island were like another version of Palawan in the Philippines. 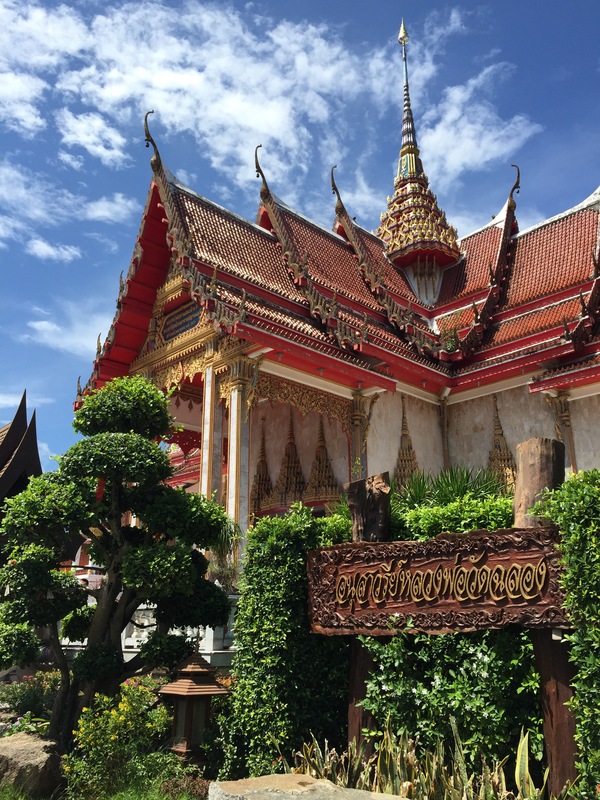 And then finally, I will spare whoever opens this entry of my other blabber and just show you some other must-sees in Phuket (that will keep you dry 😉). This beauty!!! I would normally condition myself to have low expectations when visiting famous landmarks, but photos simply cannot do justice to La Sagrada Família ❤️ Our tour guide said it will be finished by 2026; @tinmlacuesta we can go back! As a kid, I was told that one should make a wish each time a church is visited for the first time. I’m far from being religious, but I always try to light candles and pray (and yes, make a wish) whenever I visit a new church. This is not the only one I visited in Portugal, but it felt different somehow. If you’re naturally curious, read about the history of Igreja De São Domingos - it’s quite dark and interesting.